Zack Uidl is a guitarist, instructor, composer, session musician, author, producer, and mixing/mastering engineer from the Chicagoland area. He is also the owner of Paramount Music Academy. Zack is a highly acclaimed instructor for clinics, workshops, master classes, and seminars, and has taught hundreds upon hundreds of students to places of great success. He teaches at Paramount Music Academy and has taught clinics around North America as well as at the University of Wisconsin and for Camp Jam. 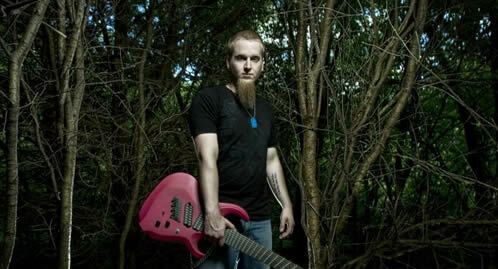 Zack is also well known for his work with thenextstepguitar.com where he has published various instructional products. He is in high demand for his compositions and production work for various films, television series, record labels and various artists of all genres. In spring 2012, Zack joined progressive death metallers 7 HORNS 7 EYES. The Seattle-based band's full length debut Throes of Absolution was released April 24, 2012, and Zack joined the band in time for their DUAL DESTRUCTION May/June west coast tour (with Stealing Axion) in support of the new release (replacing Sean Alf). Zack has also performed on albums and in concert with Thoughts Betrayed, which he is a founding member of, as well as Project Ruins with his former student Jeff Treadwell of Divinity Compromised. In addition to this, he also released and performed with his solo material and is actively in the studio recording numerous new albums for him as well as with various musicians from around the world. Zack is currently looking for more dedicated guitar/music students who are interested in making THEIR goals reality. Visit the lessons page to learn more. Zack can be best reached via email. Click here to read some testimonials from Zack's fellow musicians, composers and instructors. 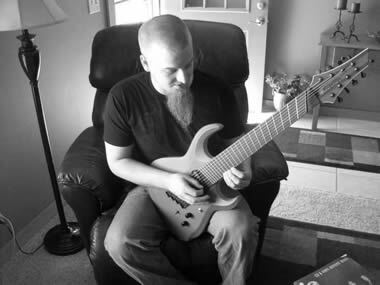 Zack's axes include a custom Conklin Sidewider 8-string, a Schecter Hellraiser C-8 8-string, ESP LTD H-1007FR and H-1007 7-strings (with 7 HORNS 7 EYES), Carvin DC747 and DC727C 7-Strings, an Ibanez RG7 7-String, and a D-Angelico EXL-1. His primary amplification is a Peavey 6505+ through a Mesa Boogie cabinet. Click here to visit Zack's artist page at Conklin Guitars.